Are you looking to give back to the community, gain experience and meet new people? 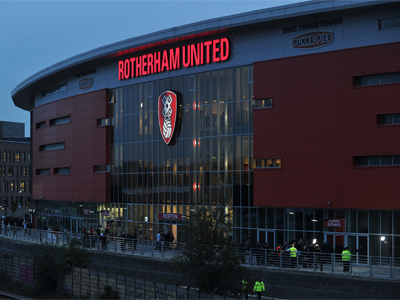 Rotherham united community sports trust (RUCST) are looking to recruit volunteers in the community for various different roles. We are looking for individuals to help us achieve our three main themes and support us in Education, Health & Wellbeing, Inclusion and Sport & Community Development! We have a large variety of different volunteering opportunities and will cater volunteering with us to suit you! We can offer you volunteering from customer service to supporting football coaching to fundraising. You will volunteer in different settings, such as schools, youth centres, the New York stadium and community events delivering various activities to all ages and ethnic groups. We look for Enthusiasm, commitment and willingness to learn in our volunteers! All we ask is that volunteers commit to a minimum or 25 hours (over a period of time) volunteering with the trust and help us in various fundraising activities. Opportunities are morning, noon and night so we can work your volunteering around you and your prior commitments. So what are you waiting for? Why not come and give it a go?